In this era of instant connectivity should your customers need to call the concierge desk for simple questions? What if your business could answer all their questions directly on their smart phone? 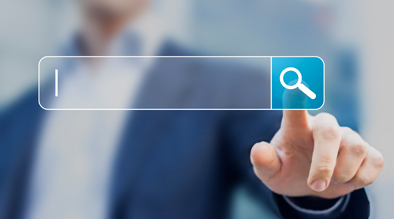 A significant trend in search is that search engines, including Google, want to provide a direct answer to searcher questions versus providing a link to a website with the answer. Google direct answers have increased from showing up in 9% queries in January 2016 to 15% in July 2016, a 67% increase in just 6 months*. Searchers and their heavy use of devices, speaking to phones and to cars, are driving this trend. Voice search is now delivered through Apple’s Siri, Window’s Cortana and of course Google, and extends your business’ visibility by providing your answer and url in the direct answer box. The below example highlights when a customer asks a search engine a quick question, “Does the hotel Nikko have an airport shuttle”. The search engine, with the help of the hotel website, is able to directly answer the question rather than having the searcher click off of the results to find the answer on a webpage. Why do you want your business to show in the quick answer box? Simple- this box is the new #1 position, not lost in the mix of the other results. It is important to note that just because a company is ranked in the top position of search results does not automatically highlight their business in the direct answer box. Thus, if you are in the 4th position in search results, the direct answer box is a great way to get to the top of the page. Additionally, Google includes a link within the box to the website, allowing people to go to the source of the information to learn more. So, you are not only answering questions for your current guests but reaching new customers who are likely in the discovery phase of their customer journey. How do I get in Google’s direct answer box? Google updates and products revolve around the user experience, providing a correct answer to a searcher is of utmost importance. Thus, we have comprised a few key metrics for the direct answer box. Your website needs to contain answers to the frequently asked questions searched by your consumers. These questions can be determined through research on social media channels, review sites, your concierge, and the front desk staff. Many businesses already have a FAQ sheet created for training new employees, use this same content for your digital customers and search engines. Schemas are certain tags to your data that allow search engines to quickly index and understand what the content is on the webpage. In order to send the relevant context signals to Google about the questions answered on the website, your content needs to be wrapped with schemas. In the client example shared above, Milestone created a Website FAQ Concierge to wrap the most frequently asked questions with schemas. Thus, when the searcher asked “Does the hotel Nikko have an airport shuttle?” Google was able to quickly pull the content wrapped with schema and deliver the answer directly, ultimately providing a great user experience on the mobile device. Search engines need to have confidence in your website to provide the correct information to the searchers. There are multiple ways of increasing authority, overall strategy should include a strong network of digital partners and links, pages with strong engagement, mobile-friendly, and have a good overall user experience. Your webpage needs to rank relatively high for the search queries to be in the answer box, most are in the top 5. Built on the Galexi™ Content management system 6.0, Website FAQ Concierge is a web based module that helps answer user generated question from search. 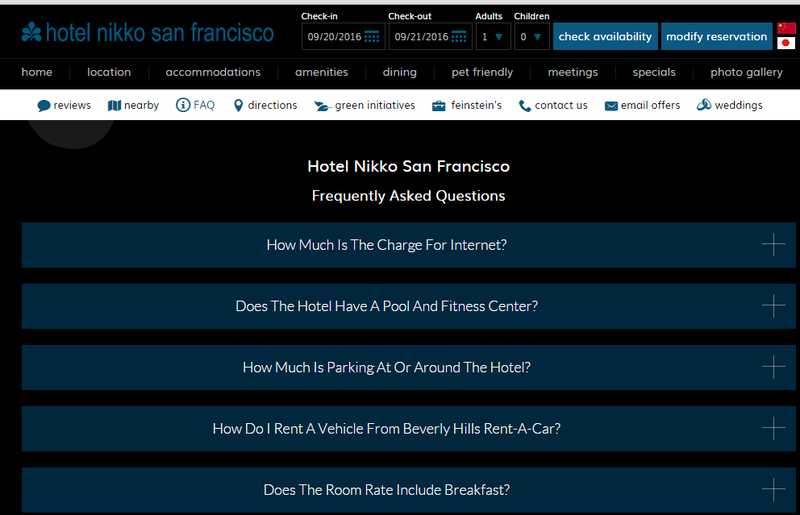 The Website FAQ Concierge module is a technical method to allow your business to be shown in the answer box. This module allows your website to answer the growing voice search questions, and works for your mobile and desktop websites. Below you can view what the Website FAQ Concierge has implemented on the hotel’s website, this is the page from the link highlighted in the direct answer box. Milestone continues to implement solutions for the latest trends, if you have any questions how to leverage the voice search trend or the Website FAQ Module comment below or email us.